Forget spreadsheets! Forget lost receipts! Welcome to Expensya! Why should you use Expensya? Simply because we thought about everyone involved. 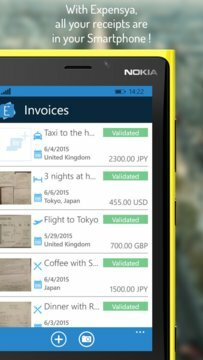 Expensya is designed for all companies regardless of their size. From the entrepreneur to the multinational. No more annoying typing! Just take a picture of your receipt and Expensya will do the rest. Our Smart Scan will pre-fill the report for you. It will automatically get the information and extract all relevant data! 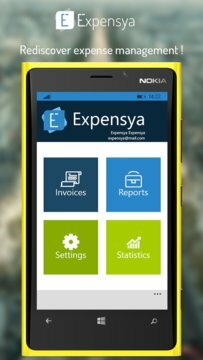 You can even use Expensya offline from your smartphone and export your report using your company’s format or one of our cool ones. Simple company administration with easy employees’ management like adding deleting, assigning roles, smooth charts for stats and more. Approvals as easy as it can get! You’ll be immediately notified when you receive a report to approve so you can check it on the spot. Validation is more organized and more efficient. No more paper work! And you can easily add the company’s export that all your employees can use. Expensya also offers you all necessary data to get audited. -	Expensya will offer you a transparent flow by allowing the exchange of comments with everyone concerned.